We are proud to announce that Sommerset Citihomes Homeowners Association has selected Tinnelly Law Group as their association’s legal counsel. 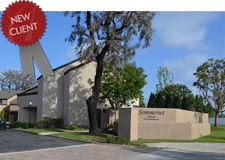 Located in the City of Costa Mesa, the Sommerset Citihomes condominium community consists of 120 beautiful condominium homes located just a few blocks from South Coast Plaza, South Coast Metro, and Crystal Court. Residents enjoy using the community pool, spa, and taking a walk to the nearby shopping centers. Our HOA attorneys and staff look forward to working with Sommerset Citihomes’s Board and management.